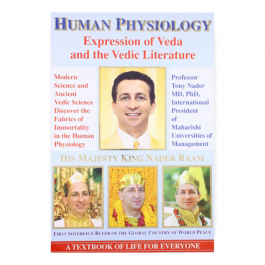 More than ten years in the making, the Ramayan in Human Physiology is the perfect sequel to Maharaja Adhiraj Rajaraam’s (Professor Tony Nader, MD, Ph.D.) first groundbreaking work on the correspondence of the Vedic Literature and human physiology. With his intellect finely honed by doctoral and post-doctoral research in neuroscience at Massachusetts Institute of Technology (MIT) and Harvard Medical School, and his intuition and feeling deeply cultivated by years of personal training with renowned Vedic scientist and sage, Maharishi Mahesh Yogi, Dr. Nader beautifully integrates cutting-edge science with the ancient wisdom of the Vedas. Dr. Nader’s insights into the deepest levels of understanding of the cosmic nature of the human physiology led Maharishi to refer to him as the greatest scientist of our time, responsible for ushering in a new age of enlightenment for every culture, every country, and every individual in the world. This book underscores Maharishi’s brilliance and wisdom in his choice of Maharaja Adhiraj Rajaraam to be the leader of Maharishi’s worldwide Transcendental Meditation Movement. "Maharaja Adhiraj Rajaraam is talking in terms of the mechanics of transformation of Natural Law into physiology. He has realised that the total Constitution of Natural Law, which governs the universe with perfect order, is lively in every grain of physiology. And the language of Ramayan is that language in which Total Natural Law is actually seen administering the whole universe." - Maharishi Mahesh Yogi. "Such great thanks go to Maharaja Adhiraj Rajaraam who, with Maharishi Mahesh Yogi’s guidance, proves without a doubt that the Ramayan is not just a fanciful story from the past – nor a myth. Maharaja Adhiraj Rajaraam shows that this story is always alive in the Eternal Field of Consciousness – The Absolute – The Unified Field of all the Laws of Nature – and that this story with all its characters – happenings – details – is alive and being unfolded in each and every human being." - David Lynch, Filmmaker. 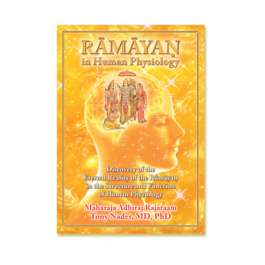 "Maharaja Adhiraj Rajaraam (Dr. Tony Nader, MD, PhD) is one of the great, innovative geniuses of our time.. His remarkable scientific elucidation of the ancient cherished epic, the Ramayan, reveals how this timeless saga is truly about ourselves—a story that is continuously unfolding within our very brain and body. This makes this time-honored epic immediately relevant to the life and very soul of the reader. A magnificent revelation... An historic achievement." - John Hagelin, PhD World Renowned Quantum Physicist President, Global Union of Scientists for Peace. "Maharaja Adhiraj Rajaraam has seen in the story of Shri Ram in the Ramayan the basic principles of the administration of the whole universe by the totality of the Laws of Nature. With Maharishi’s guidance he was able to cognize this reality unfolding, instant by instant, in human physiology, which is the gift of God to everyone." 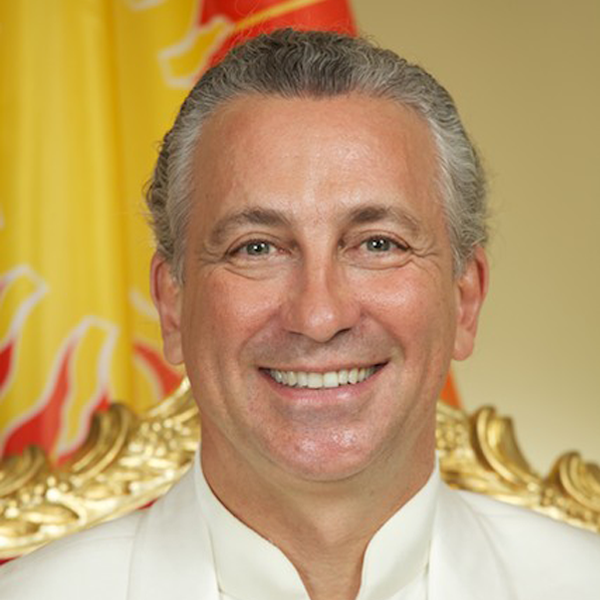 - Dr. Bevan Morris Prime Minister, Global Country of World Peace, President, Maharishi University of Management, USA. "This book represents one of the most important achievements in the history of mankind. It marks a turning point in which the newest and oldest traditions of knowledge converge, contributing to a paradigm-changing understanding of human potential." - Robert Keith Wallace, PhD, Founding President and Trustee, Dean, College of Perfect Health, Maharishi University of Management, USA. "This book will serve as a revelation to physicians, scientists, and those who desire a greater understanding of the unity underlying all that makes us human." - Gary P. Kaplan, MD, PhD Clinical Associate Professor of Neurology Hofstra University School of Medicine. 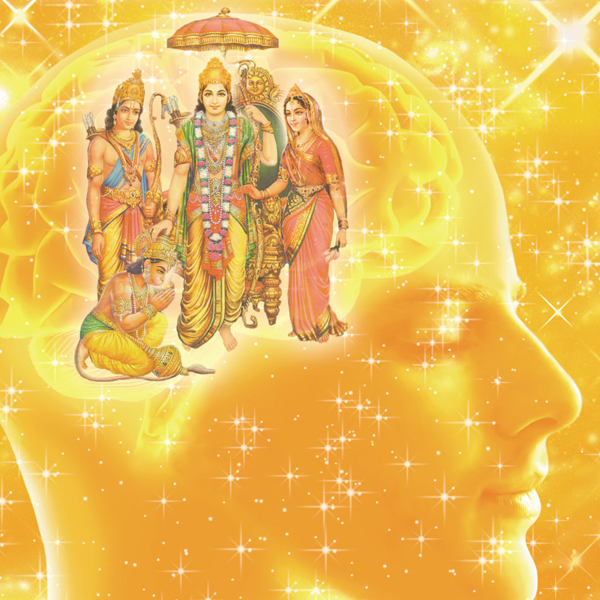 Dr Tony Nader uses the great Vedic epic, the Ramayana, to show how natural law works to bring about enlightenment. Superficially the Ramayana is a tale of heroes, demons, monkeys and saints. Yet Dr Nader explains how the Ramayana reveals the inner workings of nature itself. It not only shows how our body can evolve to perfect health, but how we, and the world we live in, can rise to perfection. 460 pages, soft cover, full color. Published in 2011, MUM Press. Not stocked but available to order.